All Whole School Reform: How do we Push Past the Perceptions of Race and Poverty to Attain High Student Achievement will have access to the breakfast generally sessions and call-to-action luncheon where our keynote speakers will present. No additional fee is required for these events. 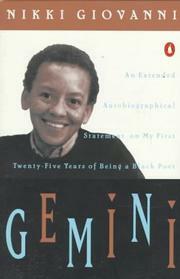 Nikki Giovanni is a world-renowned poet, writer, commentator, activist, and educator. Over the past 30 years, the outspoken nature of her writing and speaking has brought the eyes of the world upon her. One of the most widely read American poets, she prides herself on being "a Black American, a daughter, a mother, a professor of English." The Academy of American Poets voted Giovanni #1 poet for the spring of 2007. Giovanni remains as determined and committed as ever to the fight for civil rights and equality. Always insisting on presenting the truth as she sees it, she has maintained a prominent place as a strong voice of the black community. Her focus is on the individual—specifically, the power one has to make a difference in oneself and in the lives of others. Giovanni has written more than two dozen books, including volumes of poetry, illustrated children’s books, and three collections of essays. Her book Racism 101 includes bold, controversial essays about the situation of Americans on all sides of various race issues. She has received 21 honorary doctorates and a host of other awards, including Woman of the Year titles from three different magazines and the Governors’ Awards in the Arts from both Tennessee and Virginia. Rosa, her biography of legendary civil rights activist Rosa Parks, won Caldecott Honors and the Coretta Scott King Medal for best illustrated book. Other books include the collection of adult poetry Acolytes and the novel On My Journey Now: Looking at African American History Through the Spirituals. Three of her volumes of poetry—Love Poems, Blues: For All the Changes, and Quilting the Black-Eyed Pea—were winners of the NAACP Image Award in 1998, 2000, and 2003. Her newly released collection, Bicycles: Love Poems, has been called one of her “most powerful offerings to date” by Essence magazine. Since 1987, Nikki Giovanni has taught writing and literature at Virginia Tech, where she is a distinguished professor. As a devoted and passionate writer, teacher, and speaker, she inspires not only her students but also readers and audiences nationwide. Her album Truth Is on Its Way, in which she reads her poetry against a background of gospel music, was a top 100 album and was named Best Spoken Word Album by the National Association of Radio and Television Announcers. 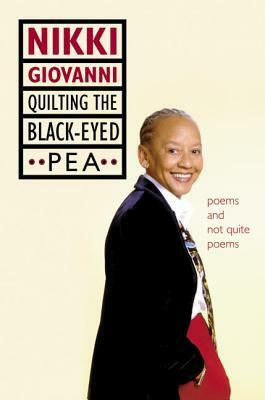 The Nikki Giovanni Poetry Collection, a spoken-word CD, was a finalist for the 2003 Grammy Award in the category of spoken word. Chris Emdin addresses the potential teachers possess to create magic in their classrooms. Christopher Emdin is an Associate Professor of Science Education and Director of Science Education in the Department of Mathematics, Science and Technology at Teachers College, Columbia University. 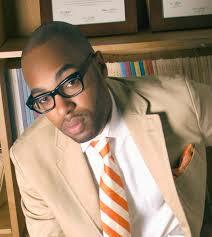 He also serves as Associate Director of the Institute For Urban and Minority Education at the college. He is founder of the #HipHopEd movement, and the author of the award winning book, Urban Science Education for the Hip-hop Generation, and the New York Times bestseller, For White Folks Who Teach In The Hood…and the Rest of Ya’ll To. Roland Martin interviews Senator Tim Scott concerning school choice. 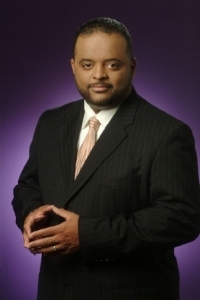 Over the course of a journalistic career that has seen him interview multiple U.S. Presidents to the top athletes and entertainer in Hollywood, Roland S. Martin is a journalist who has always maintained a clear sense of his calling in this world. 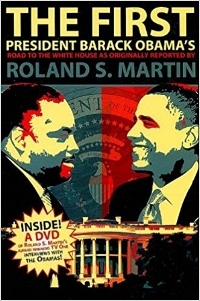 Martin most recently was the host and managing editor of TV One's NewsOne. NewsOne was the first daily morning news program in history to focus on news and analysis of politics, entertainment, sports, and culture from an explicitly African American perspective. NewsOne started weekdays via its radio platform at 7AM/ET, airing on Radio One network stations in select U.S. Markets and then transitioned to TV One at 9AM/ET. 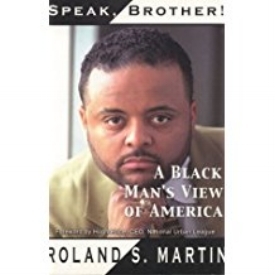 Martin is a nationally syndicated columnist with Creators Syndicate and is senior analyst for the Tom Joyner Morning Show, where his daily segments was heard on more than 100 stations and 8 million people daily.